Ozhotels provides business and leisure travellers with a directory of independently owned and non-related hotels and serviced apartments providing accommodation in North Sydney. Oz hotels allows you to deal directly with the hotels and apartments on the North Shore, hence giving you the best possible rates for this North Sydney accommodation. 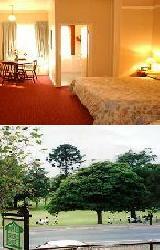 Book your accommodation online directly with the hotels in North Sydney and receive discount rates for longer stays !!! 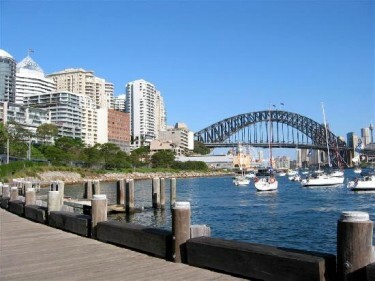 North Sydney is a great accommodation location beacuse everything is within easy reach including the business offices on the North Shore as well as the Northern Sydney Beaches and Luna Park in Lavender Bay. One of the world's more spectacular Zoos, Taronga Zoo is located nearby to North Sydney in the harbourside suburb of Mosman and it contains a large selection of animals with magnificent views of the city and Sydney Harbour. The large number of cafes, restaurants, pubs, club and nightlife entertainment are most active during the week when all of the business people flood the North Sydney area. The precinct exudes prosperity with some stunning waterfront real estate including Kirribilli House (where the Prime Minister of Australia lives). Just a short ferry, train or car ride across the Sydney Harbour Bridge will get you from North Sydney into the Sydney city centre and also Darling Harbour. Rydges North Sydney is a luxury hotel that provides guests with suite accomodation that is perfect for the discerning leisure and business traveller. 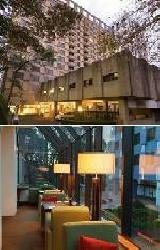 It is siutaed close to the North Sydney business district, Sydney Harbour Bridge & the Sydney CBD. The Rydges North Sydney has a number of guests facilities and services including Bar, Business Centre, Conference Centre, Direct Internet Access, Faxing Facilities, Guest Laundry, Lift, Restaurant, Room Service, Tour Desk, Garden, Security, 24 Hour Reception and Daily Housekeeping which will make you feel right at home the next time that you stay in North Sydney. The North Shore Hotel is located in central North Sydney close to the central business district and within easy access to Sydney CBD by bus, train, ferry or taxi. There is so much to see in Sydney, so stay that bit longer at this budget hotel and take it all in. Providing charming and friendly country style guesthouse accommodation, North Shore Hotel is located in central North Sydney within easy access to everything that Sydney has to offer including Manly beach, Tooronga Zoo, Kirribilli House and Luna Park.